DJ TKO Entertainment is a Philadelphia-based DJ wedding entertainment company serving Philadelphia, New Jersey and Delaware. DJ TKO Entertainment is a refreshingly different kind of DJ entertainment company. The alternative to the cheesy Wedding DJ. We believe you deserve the most memorable wedding you can imagine. We love what we do for our couples, and we strive to make every wedding we do unique for our couples. The ordinary wedding, with the usual songs you hear at every wedding…is not what we are about. We believe music can be fun and tasteful, and not bound by what you typically hear at weddings. Dance floors packed with all age groups, great music mixed seamlessly, great enhancements that can totally transform your wedding and a personalized wedding experience, is what we are about! Please take the time to tour our new site, and see what we are all about at DJ TKO Entertainment. We provide a personalized experience for your reception or event, by bringing unique energy filled entertainment to every event we do. If you are looking to have your guests talk about your wedding celebration – Days, even Months after…you have come to the right place. With over 200+ reviews across WeddingWire, TheKnot & Wedding.com, we are excited to create your dream reception. Having a corporate event to celebrate a company anniversary or party around the holidays? Music and lighting production can make a difference at your next corporate event. The TKO team has years of experience rocking corporate parties for Philadelphia, New Jersey & Delaware. Sweet 16’s, Quinces, Proms, Mitzvahs we have rocked them all! With the latest tracks, and an assortment of awesome party enhancements, if you want that Club VIP event that your friends will be talking about, contact us. Reunions, Birthdays, Anniversaries, After Parties or any kind of party, we have had the privilege of celebrating some awesome parties and events to help celebrate your life events. For us, nothing is impossible…endless possibilities to set your event apart from any other. We do awesome events for amazing clients, when you take our passion for music, entertainment and our clients….it creates something special at the weddings and events we do. Martelle is hands down amazing, our dance floor was packed with every song. He kept everyone up and energetic for the whole night but what was really important is that he listened to our likes and dislikes. Their professionalism, attention to detail, and perfection of their craft had us sold. We had no reason to look elsewhere. Martelle was incredible to work with! I’m very selective with my music, and the feel I wanted for my wedding, and he absolutely nailed it! His quality of work and professionalism is exceptional. If you book with DJ TKO you will not regret it! I can’t stress enough how much my husband and I enjoyed our experience with this company! Thank you!!!! Martelle & Matt At DJ TKO exceeded our expectations! On our wedding day, Martelle & Matt were able to read the crowd and make adjustments to keep them moving and the energy high. We absolutely loved Martelle! We have had so many people tell us how much they loved the music and not just from friends but from older family members as well. I would recommend DJ TKO entertainment if you want to have the best party ever!! When I started wedding planning, friends and family told me the two things your guests remember about your night is the music and the food, and thanks to Martelle we knocked the music out of the park! Thank you Martelle and your team, for helping make our wedding so amazing! Working with Martelle for our wedding was one of the easiest things we had to do while planning. He was so great to work with and made everything so easy for us. The dance floor was packed all night and I don’t think I saw my grandmother take a seat until it was time to leave. He really was our favorite vender and knows the ins and outs of the business. I have recommended him to many people and will continue to do so. The actual wedding night was flawless. The music was perfect and there was never a dull moment. We cannot thank Martelle and DJ TKO Entertainment enough! When it came time for the wedding day, Martelle rocked the dance floor and really read the crowd. I would recommended these guys a million times over again! You guys are awesome!!! If you are looking for a true partner in putting together an event your guests will remember, we would not hesitate to recommend Martelle and DJ TKO Entertainment.  Founded by Martelle Pitts in 2002, DJ TKO Entertainment was created with one main focus; provide our passion for good music, entertainment…and take your vision and your dream to shatter your expectations for your next event. TKO was founded by a Club DJ who strives to bring a different atmosphere to weddings and events. Every event is different in the eyes of TKO; you deserve a truly unique experience that reflects your personality, your style and your dreams. There is “no cookie cutter” approach between our events, and we hope to provide a celebration that you have always dreamed of…by providing a custom music experience and journey, a jam-packed dance floor all night, distinctive lighting and production design, and amazing event enhancements. We encourage you to take a look at our brand new site, check out our testimonials from past couples and clients, visit us on WeddingWire for more reviews and take a look at some of our work. If you are interested in setting up a meeting for your upcoming celebration and event, please fill out our contact form. Your Philadelphia & New Jersey Wedding DJ’s! We are not paid to list any of these amazing companies. These are simply companies and people we have worked with over the 15+ years in business, that constantly impresses us with every event they do.